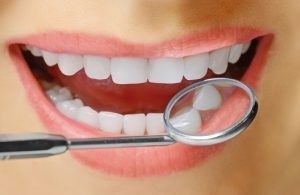 You take great pride in caring for the health and appearance of your teeth, but what about your gums? Your gums are invaluable to your dental health. The biggest threat to your gum health involves periodontal disease, better known as gum disease. It is estimated that half of adults in the United States have a form of the condition. Unfortunately, most are not aware that their bleeding or swollen gums are a sign of the condition. Without prompt treatment and proper management of the disease, it can lead to serious dental and overall health complications. As your dentist in West Monroe, Dr. L. King Scott offers periodontal therapy with laser treatments. Periodontal disease is an infection that occurs in the gum tissue. When the teeth are not cleaned properly at home and with preventive care from the dentist, it causes plaque and tarter to accumulate. The buildup produces a bacterial infection. In the early stages, the infection is easily treatable without causing long-term complications. However, when it reaches the advanced stages, it will significantly impact your oral and overall health. Gum disease is one of the leading causes of tooth loss as it destroys the root and supporting structures of the teeth. When not treated quickly, the bacteria responsible for gum disease can enter the bloodstream. As it circulates throughout the body, it causes a diversity of complications, including cardiovascular disease, respiratory infections, diabetes complications, and Alzheimer’s Disease. To restore and protect your oral and overall health, you need treatment for the infection. In the past, treatments were invasive and painful. Now, advancements in dentistry provide minimally invasive treatments that are less painful, more effective, and have a shorter recovery time. Dr. Scott embraces these technological advancements with the use of laser dentistry. The soft tissue laser treats the pockets that are infected with the bacteria, reducing their size. When compared to treatments of the past, laser dentistry is proven to enhance the regeneration of healthy gum tissue to reduce the depth of the pockets and increase the attachment process. With the use of the laser, the treatment is more accurate and precise, only targeting the areas that need treated. This reduces damage to healthy tissue while producing more effective results. In addition, there is less risk for infection and bleeding for a quicker recovery time. When treating and managing periodontal disease, Dr. Scott uses the laser along with subgingival scaling, which promote the gingival index, gingival bleeding index, and the probe depth. In addition, attachment loss and tooth mobility is improved. It is important to seek treatment for the infection at the first sign of an issue. If you have bleeding gums that are sore, red, or inflamed, you need to schedule a consultation with Dr. Scott. The longer you delay care, the more extensive the infection and damage will become. For comfortable and effective periodontal therapy, benefit from laser treatments with Dr. Scott. Contact our office today for an appointment.